Bauhaus reloaded. image via IG; follow @thonet_gmbh. 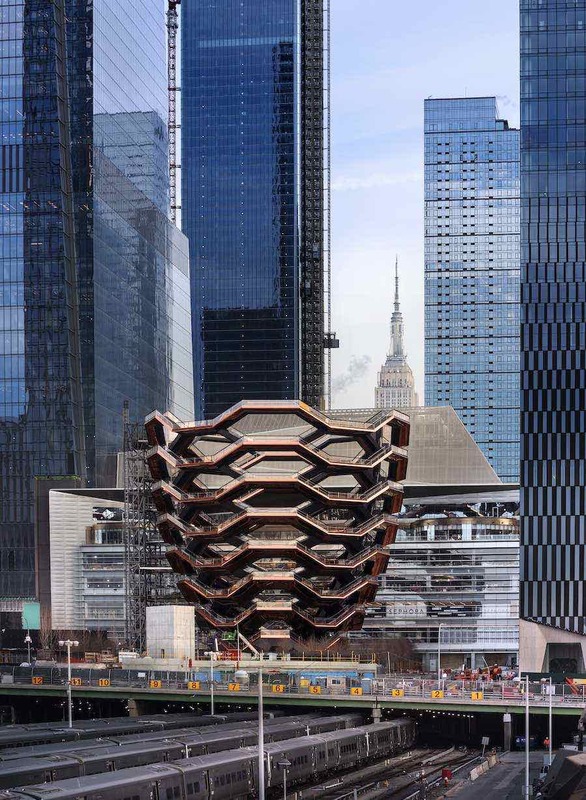 IMM Cologne 2019 – In 1981, journalist Tom Wolfe published FROM BAUHAUS TO OUR HOUSE, a polemic essay accusing the movement’s founders and Modern architects at large to be too focused on theories rather thank the needs of those who had to live in their buildings. 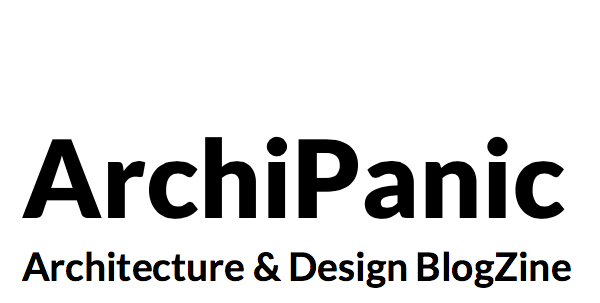 Almost 30 years later, the design world seems to prove him wrong. 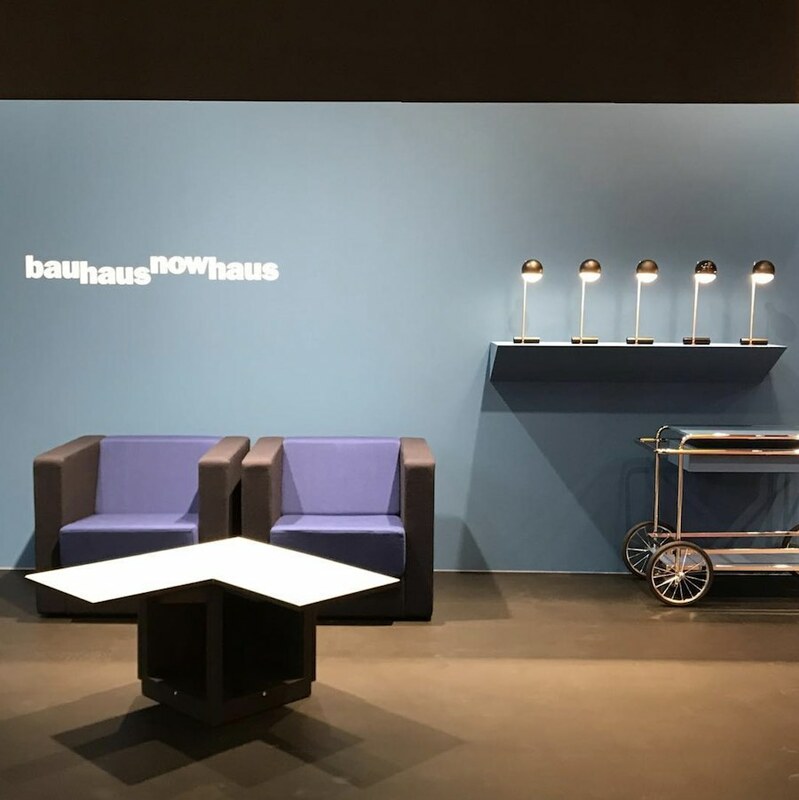 As you explore IMM Cologne 2019, Bauhaus is everywhere. Not only re-editions but also unexpected take-ons and design experiments. Check what we liked the most! 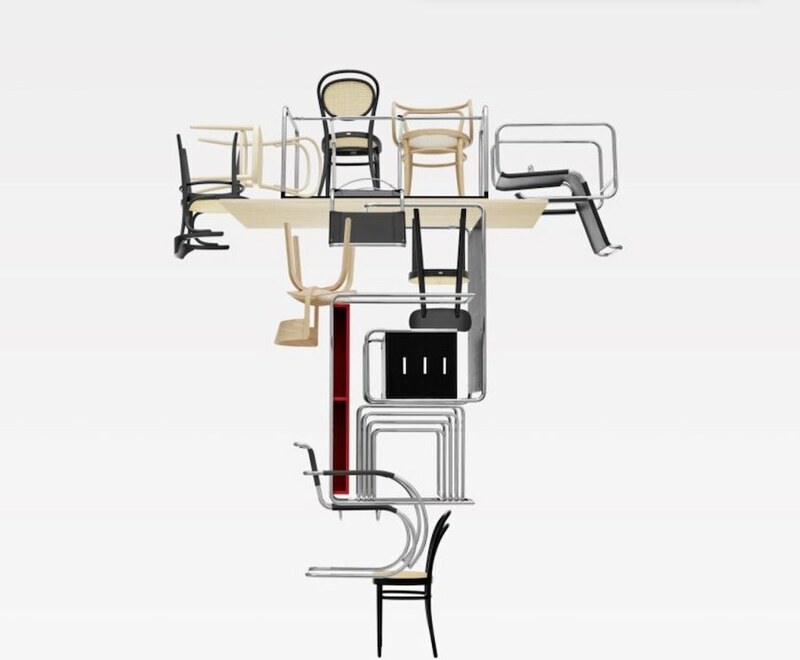 Bauhaus is 100 years old but Thonet doubles it! 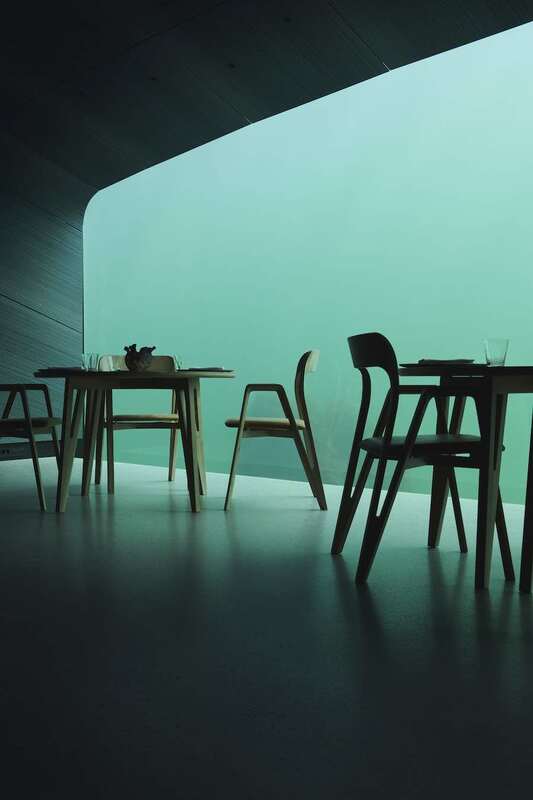 In 2019, it celebrates its 200th anniversary with a limited edition of Ludwig Mies van der Rohe’s cantilevered S 533 F chair. The Hamburg-based design duo Studio Besau Marguerre developed two new versions of the iconic tubular steel seat with new colours and materials. 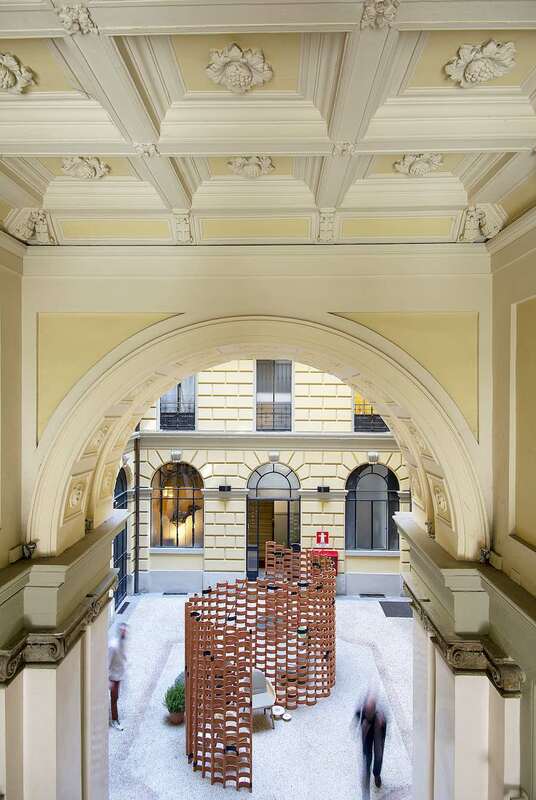 In May, the company will celebrate the architecture and design movement also with an exhibition at the Museo Die Neue Sammlung in Munich. Knoll debuts at IMM Cologne with a Bauhaus-themed pavilion designed by studio OMA and the limited edition of the Barcelona® chair by Mies Van Der Rohe who mentored the company’s founder Florence Knoll and, in 1953, gave him the rights to produce his iconic seat which is still entirely handcrafted today. OMA, the Dutch-based architecture firm founded by, design a n installation replicating different architectural masterpieces for which Mies created unique furniture collections. 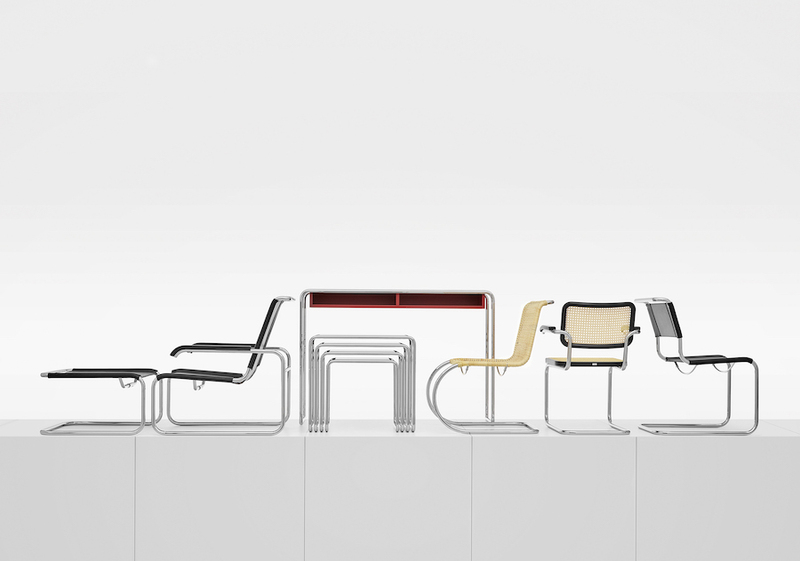 Hardly any other manufacturer has the rights to so many Bauhaus designs as Tecta. The German company presents 30 faithful and licensed Bauhaus products with brand.new colors and homely materials. German designer Kerstin Bruchhäuser up cycled jeans, kimonos and military backpacks to reinterpret Marcel Breuer’s classic D4 folding club chair. 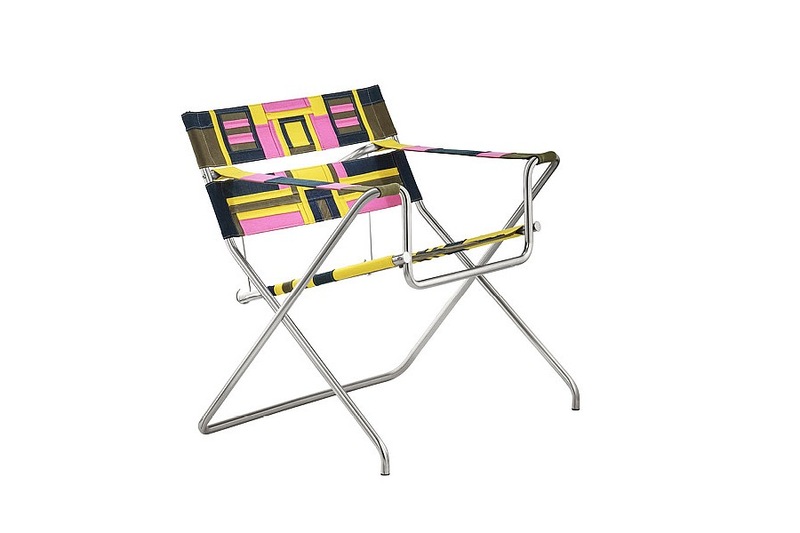 The seat was originally conceived in 1927 to whip out on patios, boats and at sports events alike. Photo via IG; follow @shoenbuch. 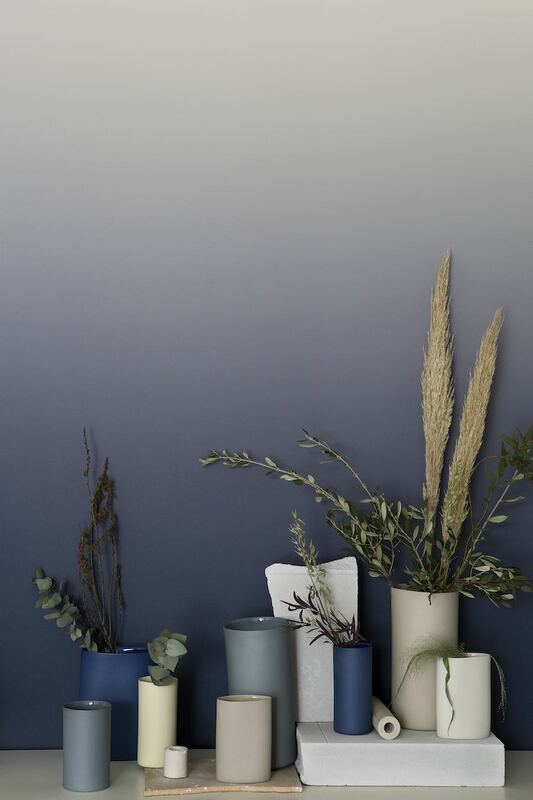 Schönbuch‘s brand new designs including Sebastian Herkner’s containers and Bodo Sperlein’s room divider tune with a Bahaus-inspired colour palette. The graphic elements and color contrasts of textile artist and Bauhaus member Anni Albers meet the vibrant style of contemporary American artist Sterling Ruby. The result is a melting pot ranging from black and white to rosewood, flamingo, steel blue and emerald pink. Architect Eileen Gray did not teach or study at the Bauhaus, but her work developed parallel to the design movement. Some of her iconic furnitures such as the 1925 Day Bed and the 1927 Adjustable Table E 1027 are on show at the Classicon exhibition along with new collections by contemporary designers. 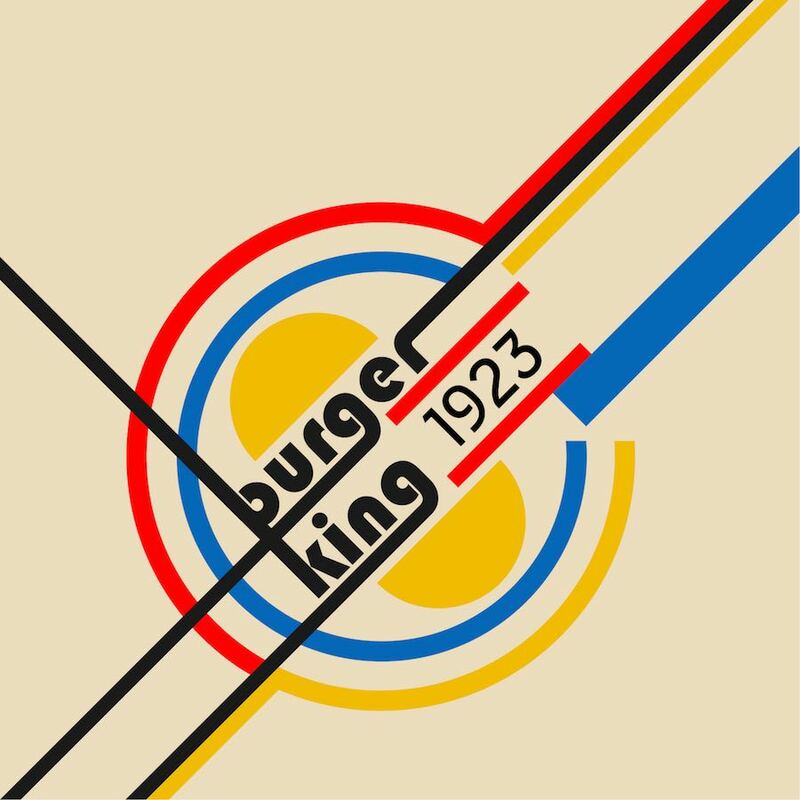 The overall mood nods to the minimalist imprint of Bauhaus. 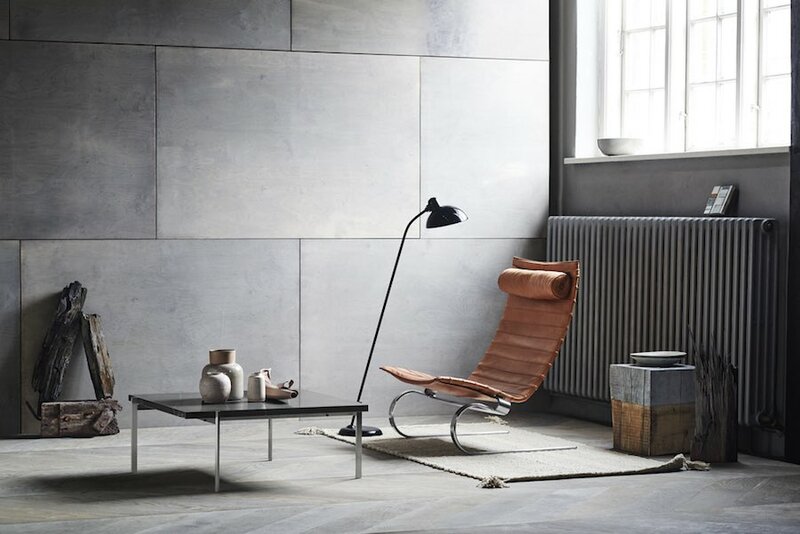 Danish design firm Fritz Hansen re-launches the KAISER idell™ series by Christian Dell, a German designer and professor at the Bauhaus school. His 1926 sketched lamps became an undisputed design icon. The floor lamp is now available in black, matt black and white and can be easily tilted from a 15° to 18°; functional and elegant at the same time. Comprising a circular base, a cylindrical shaft and an opaque spherical shade, the MT8 Lamp by William Wagenfeld and Carl Jakob Jucker became known as The Bauhaus Lamp, embodying the notorious motto “form follows function”. 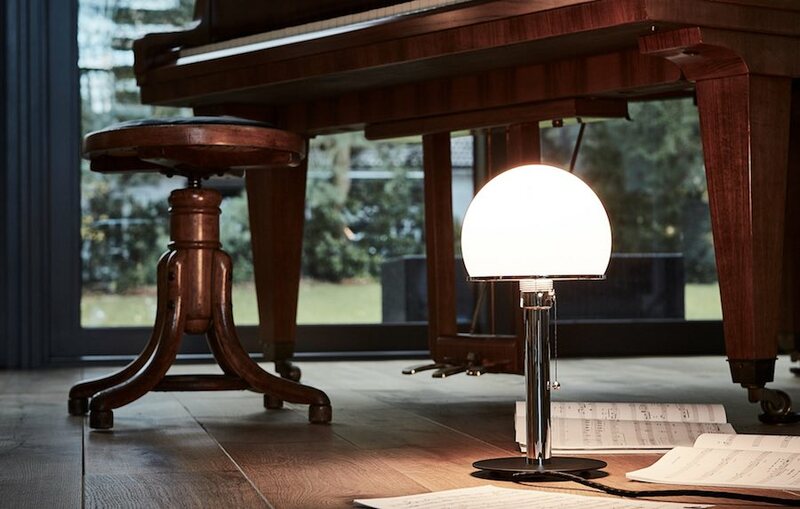 The lamp is marred from precisely cut glass and metal and is produced by Tecnolumen. Bauhaus reloaded. 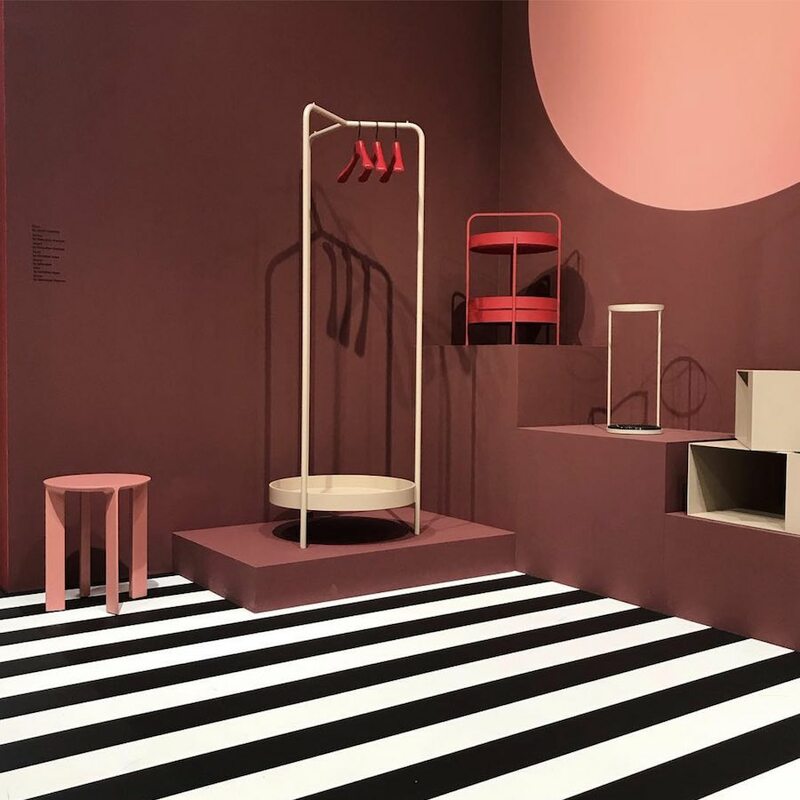 Tecta @ IMM Cologne 2019 – Photo via IG – Follow @thonet_gmbh.